To help you through this process, start your own Individual Devlopment Plan (IDP), developed by the University of Alberta. Research shows that a significant portion of graduate students will enter positions outside of academia, and that graduate students find it challenging to transition into the workplace without professional skills and a strong network, as well as difficulty articulating the skills gained through their graduate programs. The IDP is intended to ease your transition into the workplace and to offer you the opportunity to begin thinking about career options early in your graduate program. THRIVE’s optional events, workshops, and other resources compliment your degree. Because each program is unique, we invite you to identify where your own gaps are, and what skills you need to improve and develop. 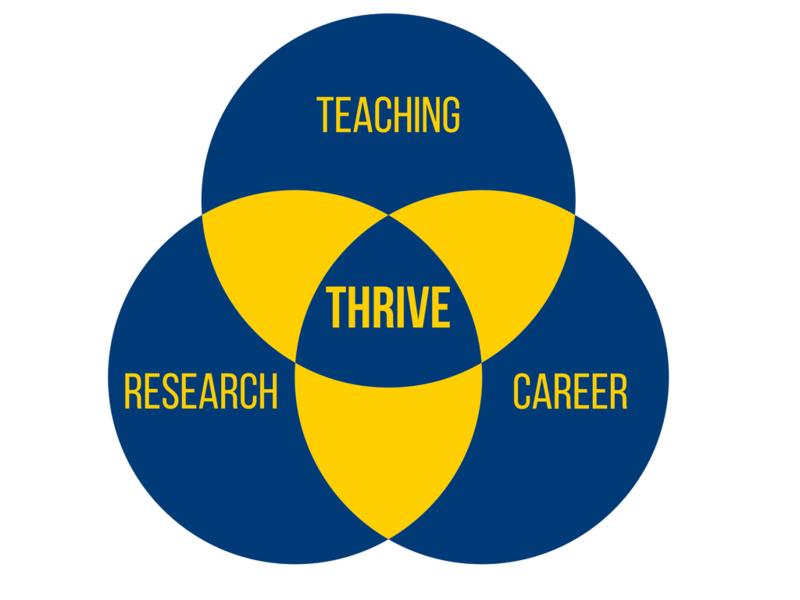 THRIVE offers opportunities in three main skill sets – teaching, research, and professional and career development. These themes overlap in a variety of areas. There’s no right or wrong time to develop or build any of these skills – each student is unique. 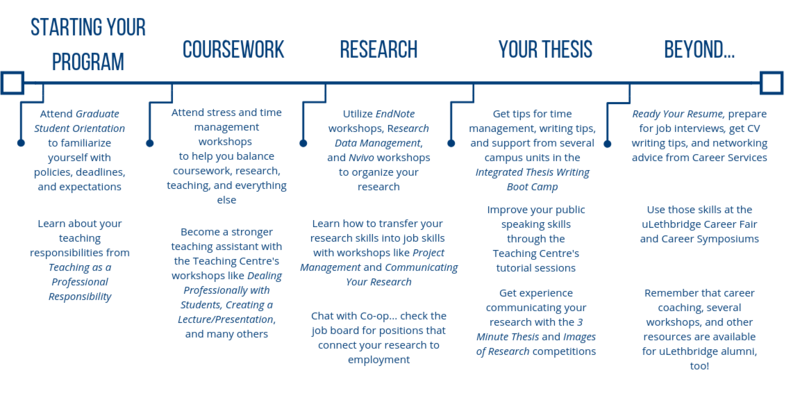 The timeline we provide is an example of how a graduate student might structure their professional development over the course of their degree. Make the resources work for you – that’s what they’re for! See the Events Calendar for upcoming Teaching, Research, and Career workshops and events!